This thread should be a sticky like the screenshots thread. I don't see why not. 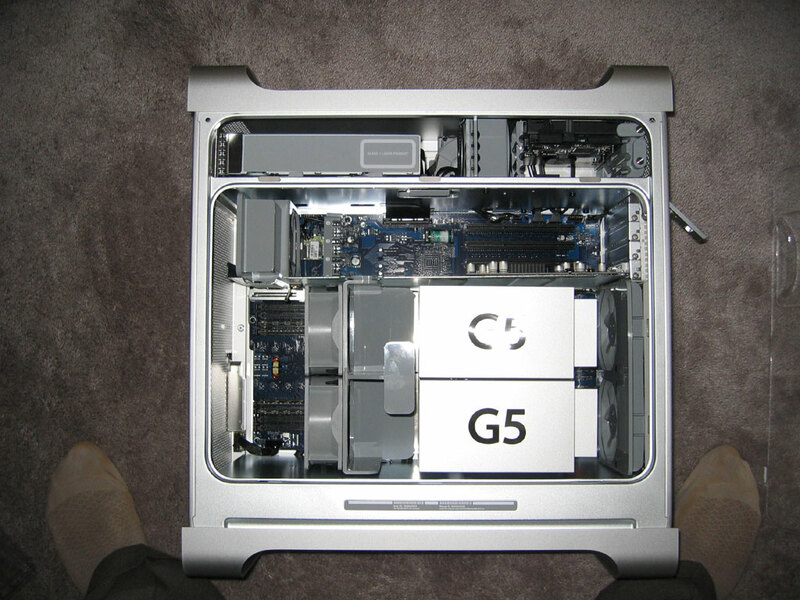 I'll try and get a snap of my new Powermac G4 at work tomorrow.. 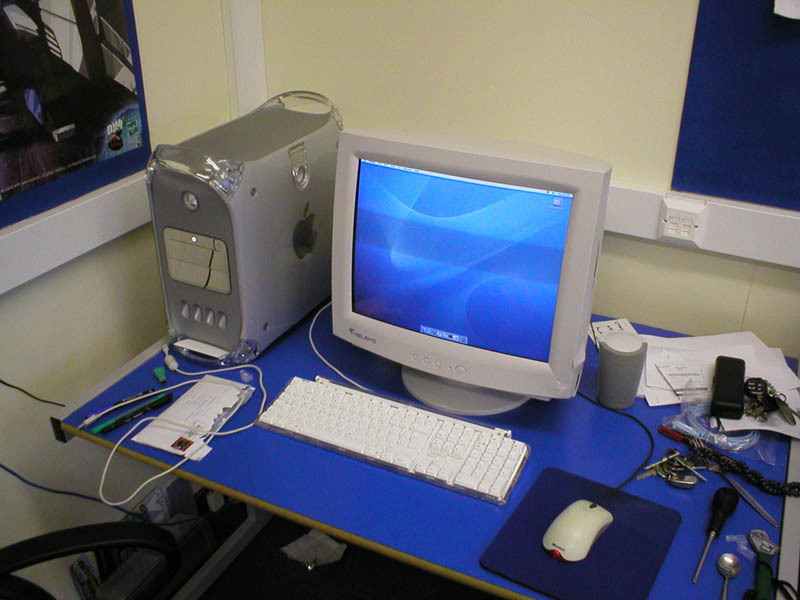 Here is a snap of my Powermac G4 1.25GHz, with 512MB of RAM. Just running a crappy generic 19" monitor through the DV convertor - the monitor has damage on the side after my boss dropped it whilst unloading them this year - save sending it back, I just volunteered to use it as the damage is only to the casing. Loving this mac.. its awesome! 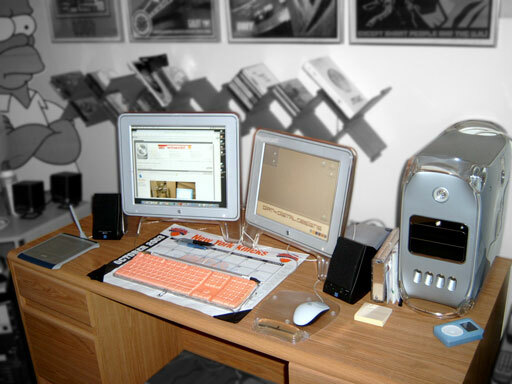 I dunno what Im doin surfin a Mac forum.. but sorry guys.. but IMO - MACS BLOW! My new Dell Dimension 2400 leaves ur crappy Mac's for dead. O, and I did have a Mac once.. some crappy Performa... h8ed it. noooooo that is not yours!!!!! i won't believe it!!! 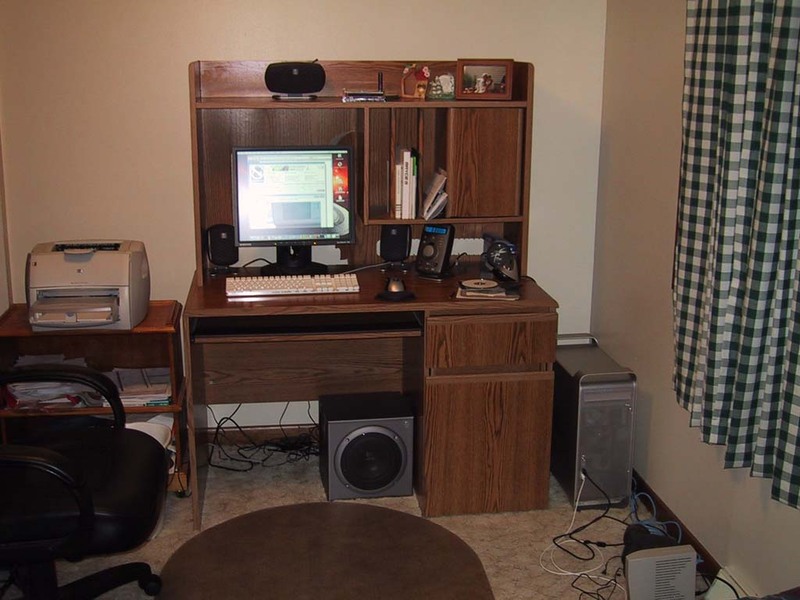 ok shut up you ****in n00b...each computer has there own place, ok?and I owned once a performa too, with OS7, and I can tell you macs are NOTHING like that anymore. Even though I favor wintell, I wouldnt be bragging about a dell. If you must do wintel build your own. 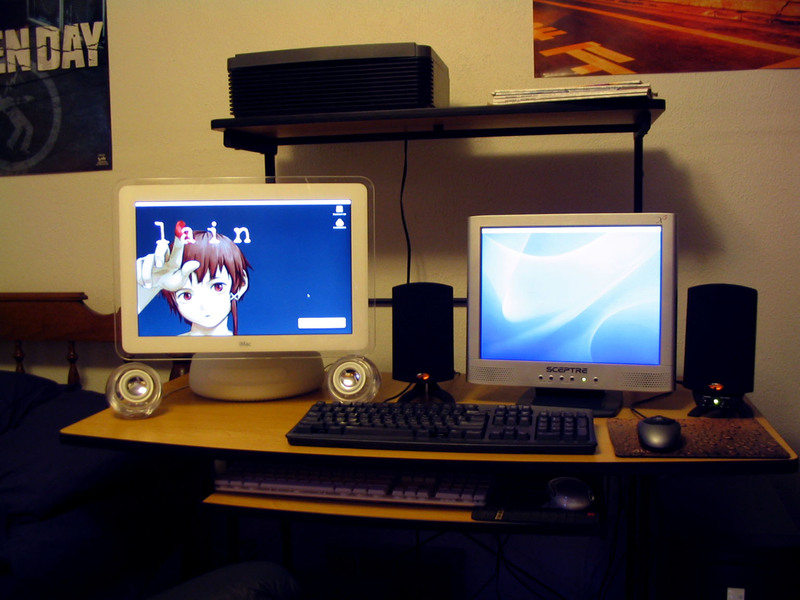 I just wouldn't troll/brag about owning the cheapest dell consumer desktop: diminsion 2400. It really shows where your priorities in life are (I'll leave you to make your own conclussions about education, finacial situation, living arrangements, and sexual preferences) - but if we could do that in private messages or something, that would keep this thread from being destroyed. But we're way off topic now. 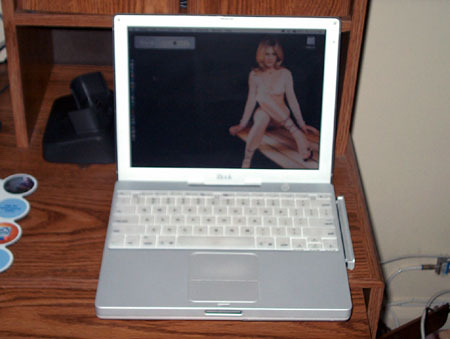 Would posting pictures of your apple notebook in places other than your desk be appropriate? I use my ibook almost exclusively infront of the fireplace or in my back yard and my powerbook is often at the olympic plaza or the gardens - much more beautiful and vibrant places than I have in my home. 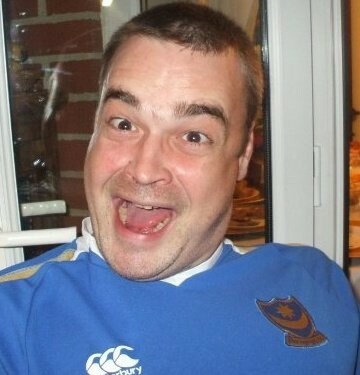 Might make for some interesting photos to compliment the ones of people's offices/rooms. I actually dont mind the G5s to tell you the truth... I am actually eyeing a G5 on eBay.